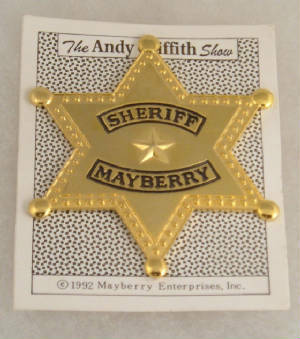 This page contains badges within my collection that do not fall within the area of my primary collecting focus but have caught my eye as fun, whimsical, or are from movies or television shows I enjoy. 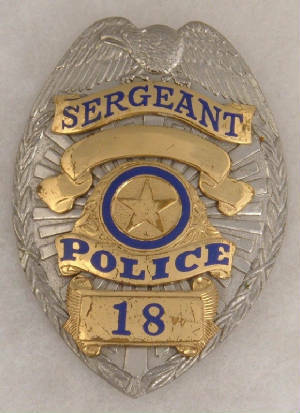 "Let's be careful out there". 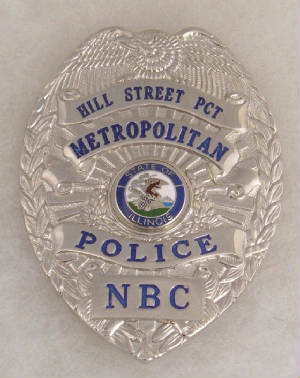 From the show, Hill Street Blues. 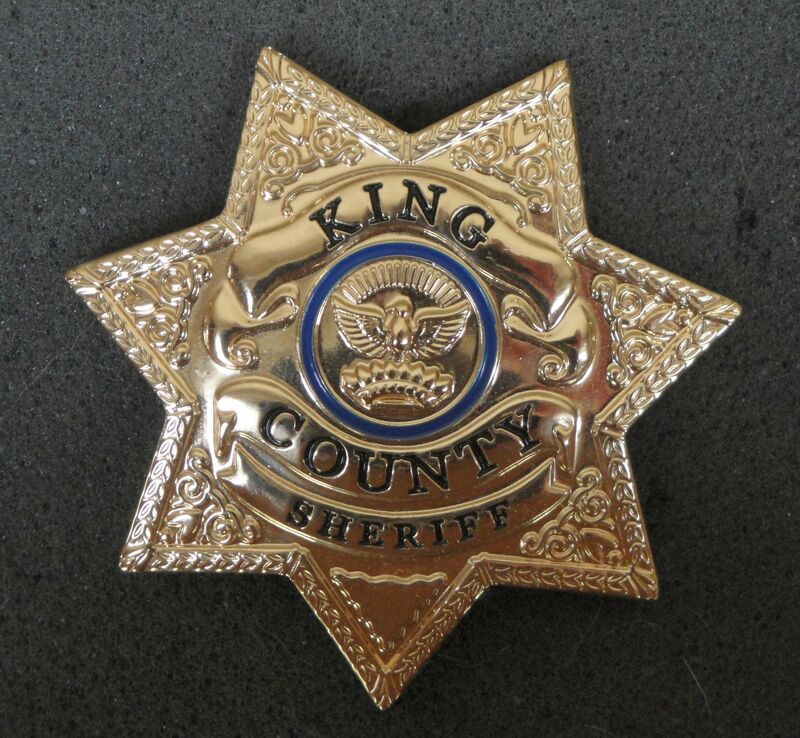 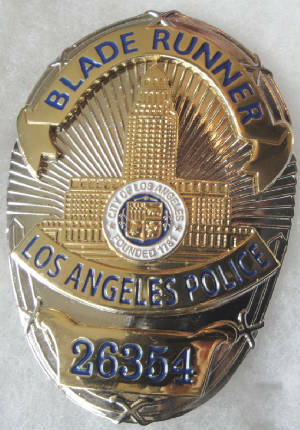 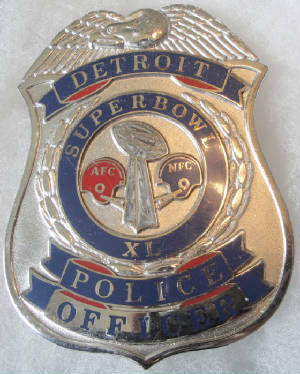 This style has been used in many television shows and movies as a generic badge and even as an LAPD badge, probably to avoid copyright issues. 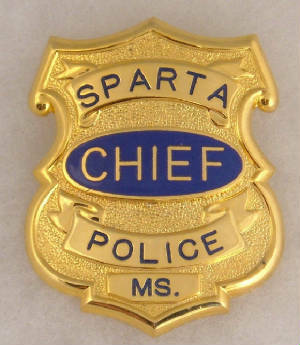 Sparta Police, from the television series, In the Heat of the Night. 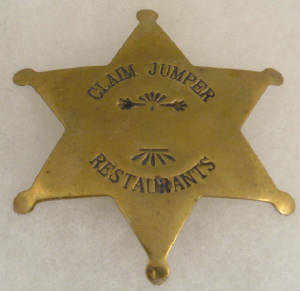 Used by the staff in the Claim Jumper Restaurants and at one time were available for customer purchase but I haven't seen that for some time. 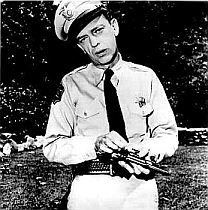 No doubt an unofficial "Barney Fife" badge. 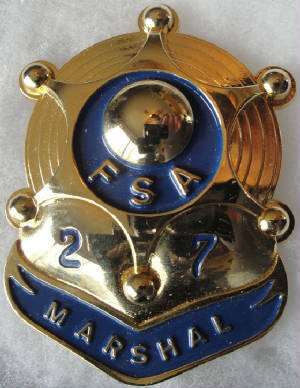 Thi is the Federal Marshal badge from the sci-fi movie OUTLAND that starred Sean Connery as Marshal O' Niel. 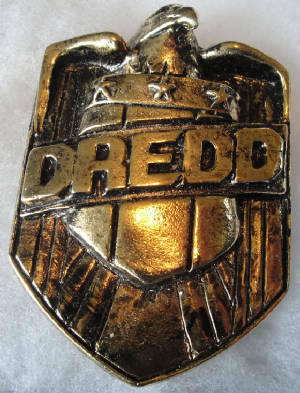 From the first JUDGE DREDD movie with Sylvester Stallone. 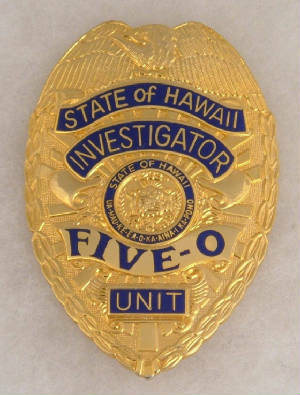 "Book'em Danno". 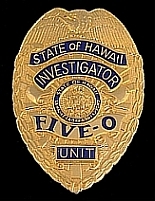 From the TV show Hawaii 5-0. 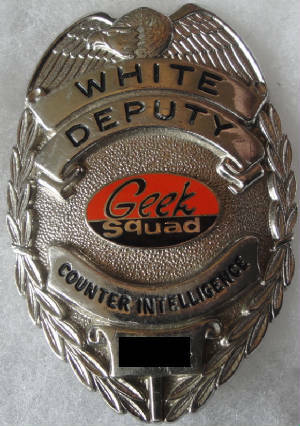 This is one of the very first badges I aquired while on vacation in Maui some time ago. 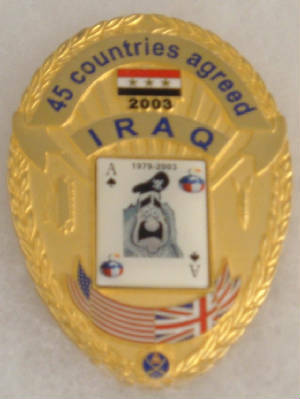 Even then I didn't think about starting a badge collection. 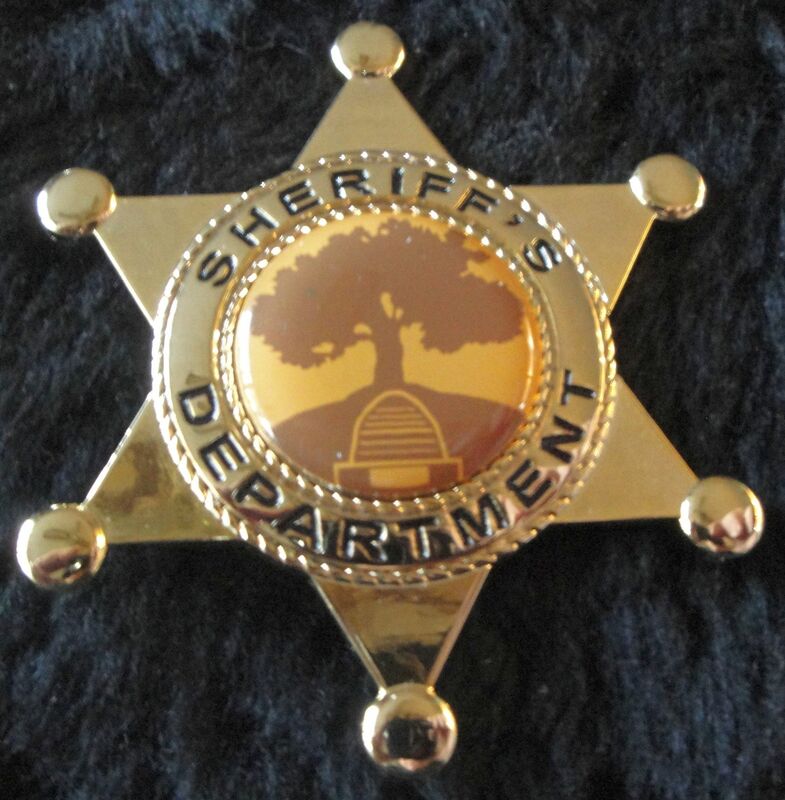 I just didn't like all the cheap "touristy" stuff. 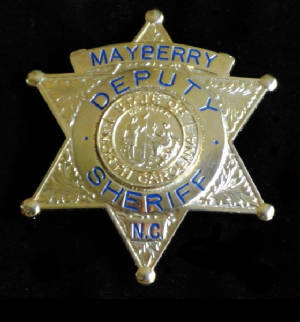 Sheriff Andy Taylor's badge from the Andy Griffith Show and Mayberry RFD. 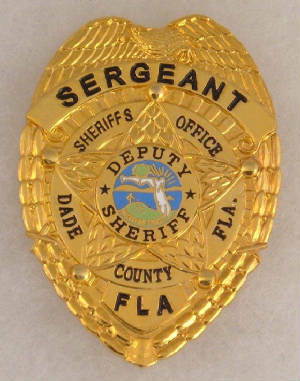 From the television series, Miami Vice. 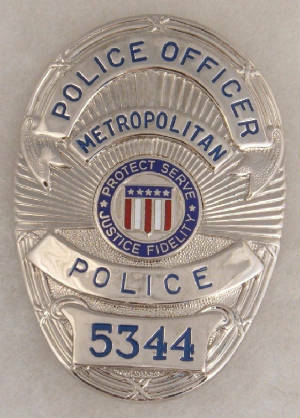 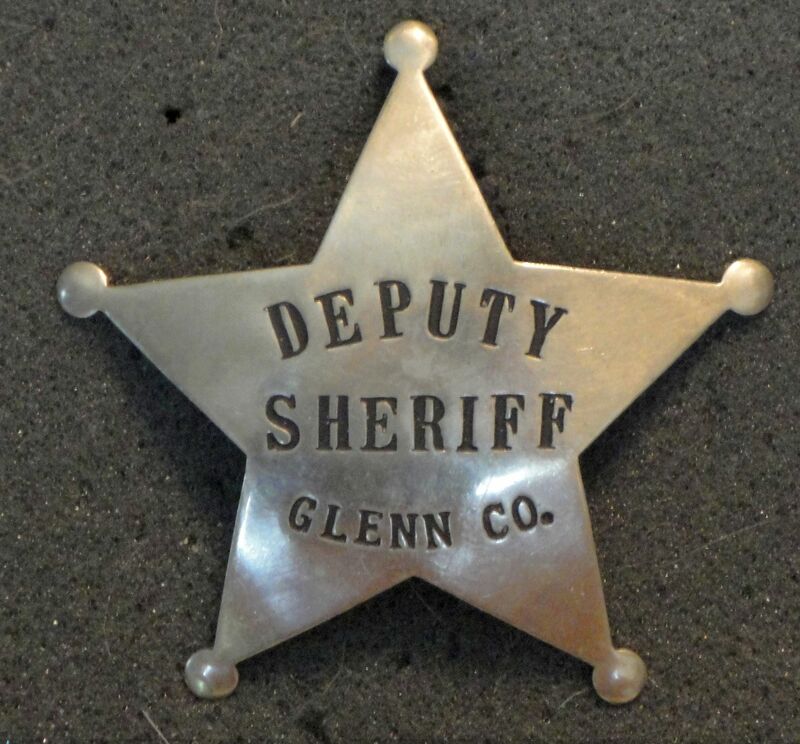 This is a Hollywood prop badge of the type used in many shows and movies. 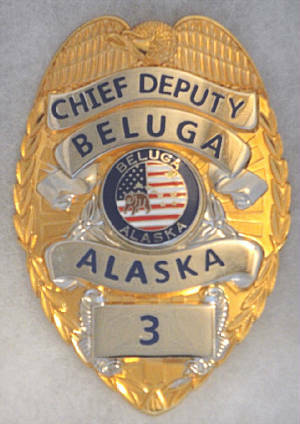 The department name would be added with a label. 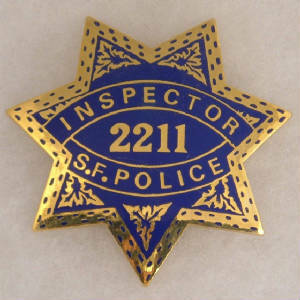 I have seen this sytle badge used in such shows as Police Story. 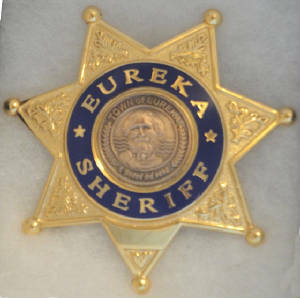 From the ABC network show "Once Upon A Time" for the sheriff of the town of Storybrooke. 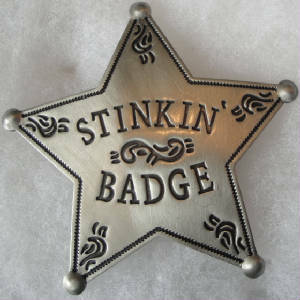 The STINKIN Badge that you always hear that no-one needs. 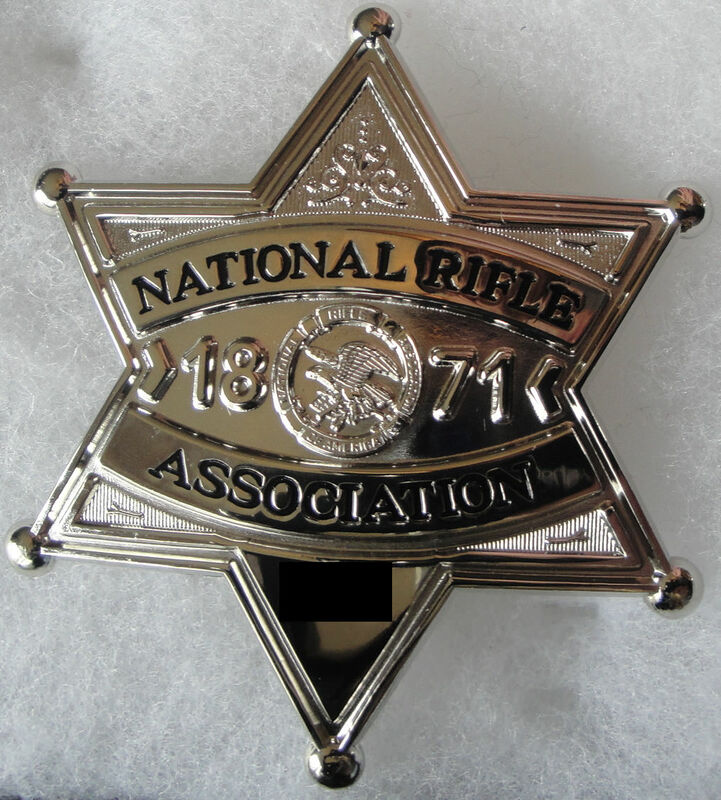 Not what I normally collect but hey...it's my name!